Ever since “discovering” and becoming a hopeless LOST fan in 2012, I’ve enjoyed Evangeline Lilly’s work. 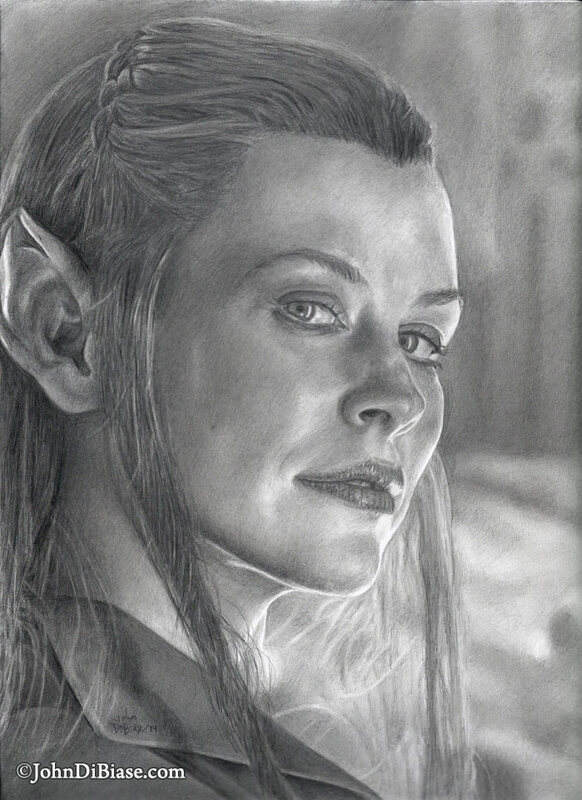 I was pretty stoked to learn she was joining the world of The Hobbit and, recently after revisiting The Lord of the Rings film, I just felt inspired to draw Tauriel from the second Hobbit film. I enjoyed drawing Evangeline as Kate Austen a year or so ago and have enjoyed her as a subject. This was the drawing I started while taking a break from the recent Egon Spengler project.